Strong weapons need strong casings. 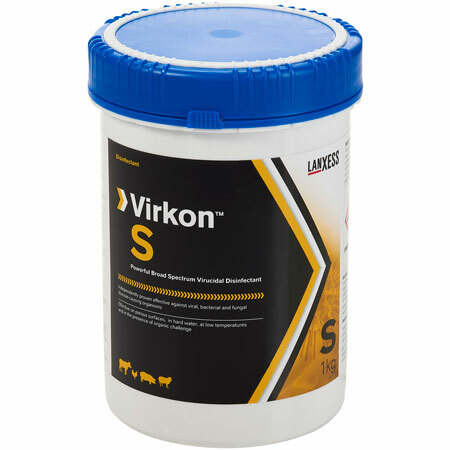 Our robust yet small plastic Packo jar protects Virkon™ S – a powerful broad spectrum veterinary disinfectant, which is used extensively to fight foot and mouth disease, avian influenza and salmonella. In fact, it is so powerful, it is effective against over 500 strains of viruses, bacteria and fungi and is selected by governments worldwide for emergency disease control. Virkon™ S is manufactured at the Sudbury site of specialty chemicals company Lanxess by Antec International. For many years now, Antec has used CurTec’s plastic Packo jars to ensure clean, safe and secure global shipment of their product. CurTec produces the jars and lids in exclusive colors to match the Virkon™ product family look and to support the high quality image of both Antec International and the Virkon™ product range. Find out if Packos are powerful enough to contain your pharmaceuticals and specialty chemicals too. Apply for a free Packaging Scan. What is a Packaging Scan?